This is one of the handiest gadgets. 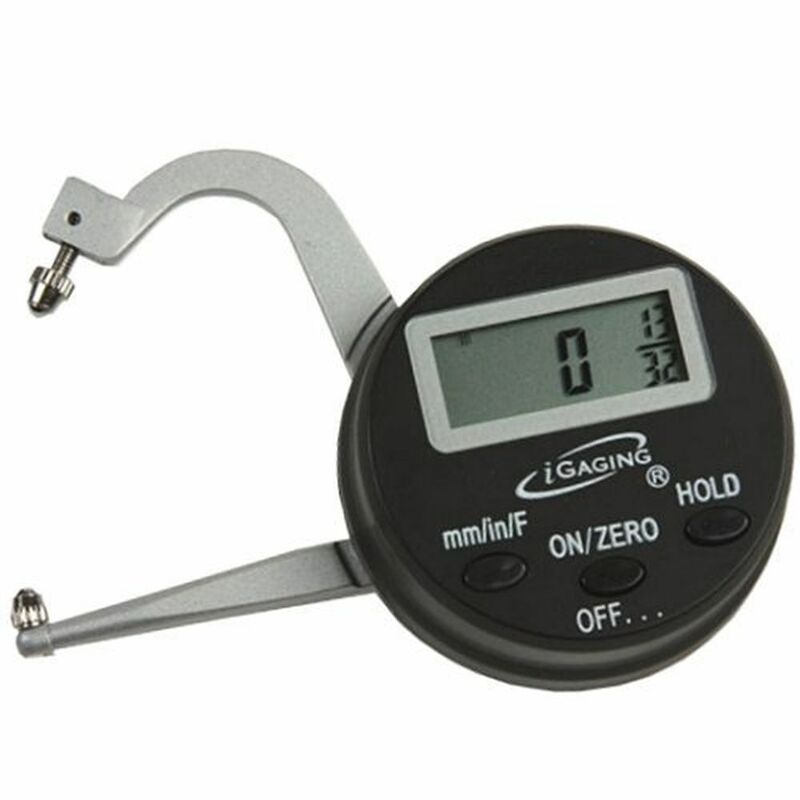 The spring-loaded arms allow you to quickly and accurately gauge material thickness up to 1-1/16". The compact size (the body is less than 2" across) neatly fits in an apron pocket so it's always at hand, and it's faster to operate that a set of calipers. Spring-loaded arms connect to a metal chassis with a plastic upper housing. Measures in decimal inch to 0.001", fractions to 1/64", and millimeters to 0.02mm. Accuracy: 0.001" / 0.02mm / fractions to 1/64"